Resident Evil: Enhanced Veronica To be Announced At E3 Says Rumors? Rumor has it that Capcom are indeed working on a new Resident Evil title, and the latest reports indicate Capcom will finally unveil their latest installment of the franchise at E3 2014. But it won’t be a numbered Resident Evil, instead news has popped up showing off an image of Resident Evil Enhanced Veronica. At this start of this month an insider on Neogaf had stated the new title would be more a “Revelations” kind of game, and would feature three returning characters from the series. There’d be one male and two female – two of these characters hadn’t appeared in over a decade. 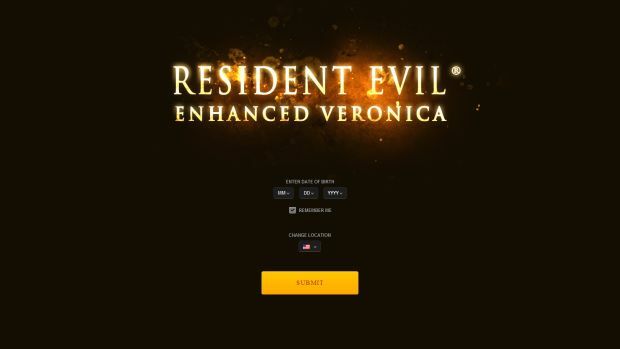 Now the latest news comes to us from the forum users over at Capcom-Unity, who’ve found a section of the official Resident Evil website which is known as “Enhanced Veronica”. For those who’re not too familiar with the original Code Veronica, it started out life on Sega’s DreamCast before being eventually ported over to the Playstation 2. The game placed you in control of Claire Redfield through most of the title, but did switch to Chris Redfield (her brother) for key parts in the plot as he was looking for her. If rumors of this are true then the name has two possibilities. The first is the Enhanced could mean it’s a remake of the original Code Veronica. Therefore it’d feature new / improved gameplay, next generation graphics and so on. The other option would be Enhanced Veronica could mean the T-Veronica virus was enhanced, and this would mean a new installment in the CV franchise. It was rumored that back in the days of the release of both RE3 and RE:CV that Capcom had a deal with Sony to release another numbered game on their platform (Resident Evil 3) but that title was technically the ‘spin off’ where the main story was Resident Evil: Code Veronica. I have to confess – I’m actually really excited about this – I’m a huge fan of Code Veronica and I hope we see mention of it at E3. This article was filed under Articles, Features, PC Gaming News, Playstation News. Tagged with chris redfield, claire redfield, Code, Code Veronica, RECV, Resident Evil, Resident evil 7, Resident Evil: Enhanced Veronica.